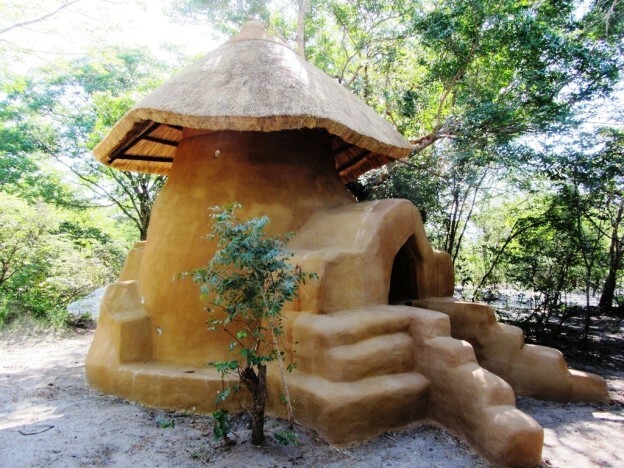 A similar dome we built in Zambia in 2012. 10th – 18th February 2014. 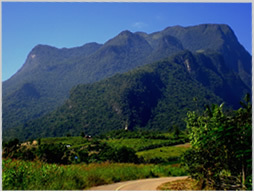 An 8 day workshop near Chiang Mai, Northern Thailand. Earthbag buildings offer a very low cost of construction and far greater resistance to natural disasters such as hurricanes and earthquakes, making them an ideal building method to introduce into many regions in Asia. Do not require expensive materials such as wood, steel and cement. Have thick, disaster resistant walls, making them ideal for areas prone to flooding, hurricanes or earthquakes. Easily built with minimal skills, bringing together young and old in the community. 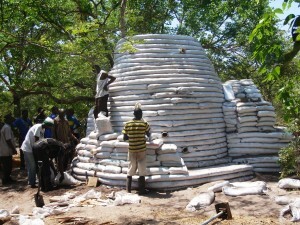 Earthbags are the perfect building technique for charities and community leaders to introduce into the world’s poorest disaster prone communities. 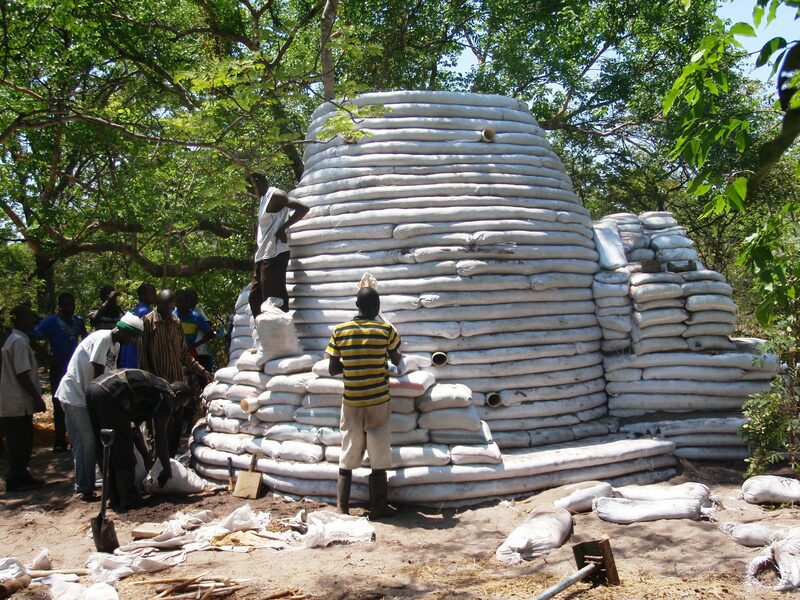 Click here for more details of the benefits of earthbag building. The workshop will be lead by Earth, Hands and Houses founder Paulina Wojciechowska, a qualified architect who has over 17 years of experience building with earthbags in communities all around the world. Paulina worked alongside Nader Khalili at Cal-Earth in 1996 and is the author of “Building with Earth”, one of the leading earthbag construction books. Building an earthbag dome from an existing concrete base. The theory and some short practice of clay plastering techniques applicable to earthbag dome structures. This workshop is part of a series being run by our host, Maggie McKerron. Please click here for details of the other workshops Maggie is running which you may also wish to attend. Food will be provided for an additional cost of approximately 6 euros per day with shared kitchen duties. 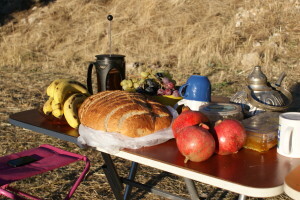 Free camping will be available on site. The best way to travel to the workshop is to fly or take a train to Chaing Mai in Thailand and then travel one and a half hours by bus or taxi to the workshop site. Please click here for more detailed practical information. After this workshop there will be an opportunity to stay on as a volunteer and participate in finishing the dome. 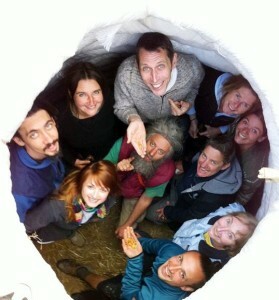 This is more than just an earthbag workshop – it will be a wonderful opportunity to enjoy an amazing 9 days of learning and relaxing amongst like minded people, some who may become your friends for life! Places on the workshop will be limited to ensure a good learning experience for everyone. This entry was posted in Past Workshop on September 23, 2013 by Antony Dennis.